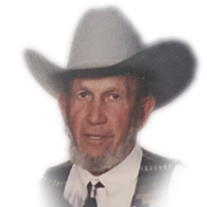 John Clark Gibbs, Sr. 89, a lifetime resident of Paradise Utah, passed away peacefully at his home February 8, 2019. Born August 11, 1929 as the 3rd son to Neil and LaVella Summers Gibbs. He married Shirley Marie Jessop, June 29, 1949 in the Logan LDS Temple. As a young man Clark roamed the mountains around paradise, working for local ranchers tending animals this gave him a lifelong love of all creatures great and small. He loved the outdoors hunting, fishing, and riding, a good horse. In his later years a team of good horses or mules was his passion he always had a good dog around to keep him company and enjoyed training and hunting with them. Clark was one of the old-fashioned cowboys, he didn’t go out without cowboy hat, and most wouldn’t recognize him without it. Scouting was a huge part of his life and he was a recipient of the Eagle Scout and Silver Beaver award. Perhaps his greatest pastimes and interests were in people. Clark had the ability to strike up a conversation with anyone and they were instantly a friend. He lived a life filled with helping others, and everyone in town knew that if they needed something Clark probably had it somewhere out in the back yard, you just had to find it. He attended schools in Paradise and Hyrum and was a member of the Church of Jesus Christ of Latter-day Saints, he served in various positions, was involved in scouting and served a mission with his sweetheart of 69 years in Nauvoo, Illinois. While in Nauvoo he was able to use his skills with animals to drive the wagon teams for tours in the Nauvoo area. Throughout his life he was a jack of all trades, as a young man he worked as cowboy for the Browning Company, but was also a business owner, truck driver, contractor, ran a hunting/guiding business, poured concrete, worked in masonry, and several other job titles including Water Master the last few years of his life, he was always eager to fix the water especially if it also involved socializing. Clark and Shirley had seven children and his family was very important to him there was always time for time in the mountains; gathering wood, hunting, fishing, fixing fences, riding horses or just enjoying the outdoors. He was a prankster and loved to tease if you didn’t have a smile on your face he’d find a way to tease one out of you. Clark is survived by his wife, Shirley, sons John (Debbie) Gibbs, Bruce (Cindy) Gibbs, Wayne (Trish) Gibbs, daughters Carol (Steve) Wilford, Allyson (Craig) Mendelkow, Molly Wengreen, Louisa Gibbs (Shane Butler), 19 grandchildren, 45 great grandchildren and 2 great-great grandchildren. He was proceeded in death by his parents, brothers; Neil Lamar, Edwin Ray, and Grant Gibbs, his sister, Gretta Hansen, and son in law David Wengreen. The family would like to thank all the friends and family for all their love and kindness. Funeral services will be held at 12:30 PM on Thursday, February 14, 2019 in the Paradise Ward Chapel, 9060 South 200 West in Paradise. A viewing will be held on Wednesday evening from 6:00 to 8:00 PM at the Paradise church, and prior to the services on Thursday from 10:30 AM to 12:00 PM, also at the church. Interment will be in the Paradise Cemetery. Condolences may be sent to the family at www.allenmortuaries.net. Posted in ObituariesTagged Allen-Hall Mortuary, John Clark Gibbs Sr.